Pichets in Paris Publishing - Stories set in Europe - Predominately France: Monet's Garden, Giverny, France. Some of my impressionist photos taken in his garden. Monet's Garden, Giverny, France. 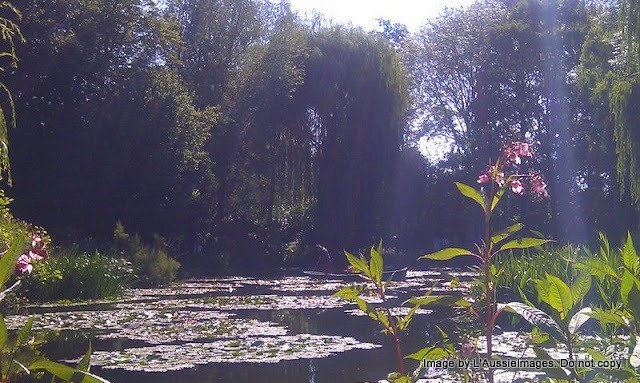 Some of my impressionist photos taken in his garden. Monet's house, pretty much as he left it. The following photos I took as I walked around the gardens. 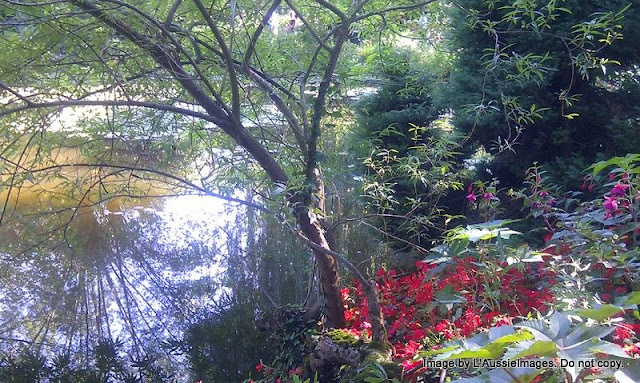 You can see how Monet's careful plantings created a real-life painting. I'm amazed at how like his paintings my photos look. Must have just been the right light that day. I hope you enjoyed your stroll through Monet's Garden with me. 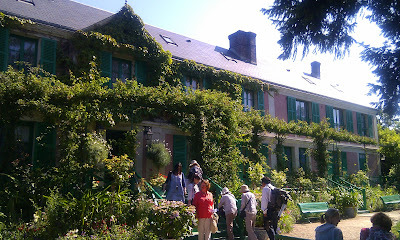 I visited Monet's house in very early May and was amazed at how ablaze with color it really was. It was magic...pure magic. He built his garden with a true artist's eye. Thanks for the revisit, Denise. Thanks for the re-visit. Absolutely loved seeing his garden even if it was spitting rain on the day we went. 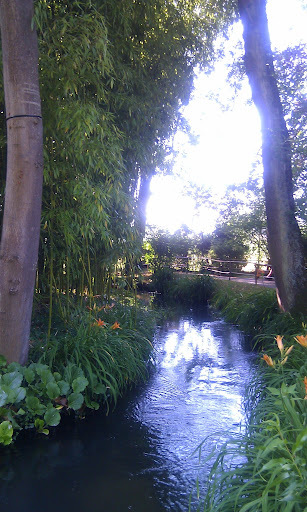 One of my Top Ten Days in my life was the day my sister and I spent the day together at Giverny. Our teenage daughters wanted to shop more in Paris so we left them each 200 francs (this was in 1999) and we took the train to the country. She sat and did little watercolors and I wrote in my journal. We also loved the American Garden down the road with each garden a different color of flowers. I was hoping for April in Paris this year, but the US government felt that they could use more tax dollars this April - enough for five trips to Paris. So it will have to wait, but I must take my artist husband to Paris. Thank you for the lovely pictures. Just started following your blog,I love Paris and am sooooo lucky to be going again next May for a few days.I have been to Monets garden at Giverny and just loved it!This time round I hope to just soak up the atmosphere and while away some hours walking and getting lost in Paris!We have done all the usual touristy sights so this time I want to explore neighbourhoods and have some "experiences"of the culinary kind!